The Platinum Card® from American Express is an exclusive charge card that carries a $550 annual fee and provides a host of luxurious and practical benefits for frequent travelers. One of the headline benefits is a $200 airline fee credit that offsets up to $200 in charges with one airline of your choice each year. As a charge card, the Platinum Card doesn’t come with any preset spending limits or regular interest charges, but it does require that cardholders almost always pay their balances in full each month. If you own a small business, consider the very similar Business Platinum Card from American Express. The Platinum Card is tied into American Express’s Membership Rewards® program and offers excellent earning power on certain travel purchases made directly with merchants and/or through the American Express Travel portal. Its primary competitors are other high-end credit and charge cards, including Citi Prestige Card, Diners Club Elite, American Express Delta Reserve, and Citi Executive AAdvantage World Elite Mastercard. All require near-flawless credit. For aspirants with less-than-perfect credit, slightly lower-end (but still attractive) rewards cards such as Chase Sapphire Preferred Card, EveryDay Preferred Credit Card from American Express, and Capital One Venture Rewards Credit Card can serve as ladders up to the Platinum Card’s rarer air. You get a $200 annual airline fee credit, good for offsetting incidental purchases such as baggage fees and in-flight meals, with one airline of your choice. When you spend at least $5,000 within 3 months of opening your account, you earn 60,000 Membership Rewards® points. That’s worth up to $600 when redeemed for merchandise and certain other items at American Express’s Membership Rewards® portal. Airfare purchases made directly with airlines earn an unlimited 5 Membership Rewards points per $1 spent. So do airfare and hotel purchases made through American Express Travel, the company’s in-house travel portal. All other purchases earn an unlimited 1 Membership Rewards point per $1 spent. Points can be redeemed for merchandise, transportation, travel, gift cards, and statement credits at American Express’s Membership Rewards® portal. Points are generally worth $0.005 to $0.01 at redemption, depending on redemption method. Cash-like redemptions, such as statement credits, have lower point values, while merchandise redemptions have higher values. Under most circumstances, you’re required to pay your Platinum Card’s balance in full at the end of each billing period or risk account closure. However, American Express’s Pay Over Time feature allows longtime cardholders in good standing to carry balances from month to month without negative consequences. Pay Over Time balances accrue interest charges at variable rates. Every year, you get up to $200 in Uber ridesharing credits as long as you add the card to your app. You get up to $15 in credits per month, plus a $20 bonus in December. Enjoy complimentary or reduced-price access to over 1,000 airport lounges worldwide through the American Express Global Lounge Collection, which bills itself as “the only credit card airport lounge access program that includes proprietary lounge locations around the world.” Other participating lounge brands include The Centurion Lounge, Delta Sky Club, and Priority Pass Select. Every four years, you’re entitled to take a statement credit of up to $100 toward your TSA Precheck or Global Entry program application. You get complimentary WiFi access at more than 1 million Boingo wireless Internet hotspot locations worldwide. You automatically enjoy Hilton Honors Gold Status as long as your Platinum Card account remains open and in good standing. Gold Status benefits include a 25% bonus on base Honors point earnings and a 5th night free on stays of 5 nights or longer. You can also upgrade to Marriott Bonvoy Gold Elite Status with no spend or stay requirement. Benefits of Gold Status include a 50% bonus on base Starpoint earnings, flexible check-out, room upgrades where available, and your choice of a welcome gift at check-in. Enjoy special rates and complimentary perks at properties in the Fine Hotels & Resorts Collection, which includes nearly 1,000 high-end hotel and resort properties worldwide. According to American Express, benefits include “daily breakfast for two, room upgrade when available, $100 amenity, guaranteed 4pm late check-out, 12pm check-in when available, and complimentary WiFi.” The average benefit value, assuming a two-night stay, is $550. When you book a minimum of two nights at participating hotels (the Hotel Collection) through the American Express Travel portal, you get a complimentary room upgrade if available and a $75 hotel services credit that can be applied toward spa appointments, dining, and more. The Platinum Card also has some general travel benefits, including complimentary car rental upgrades (for instance, from a compact to full-size sedan), complimentary car rental insurance against loss and damage, and 24/7 global assistance for travelers more than 100 miles from home. 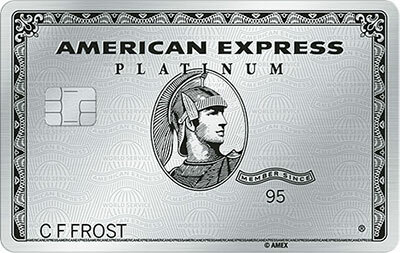 The Platinum Card’s other cardmember benefits include extended warranties on all items with original warranties of five years or less, up to $300 per item protection against returns rejected by merchants within 90 days of purchase, and purchase protection against theft or damage for 90 days from covered items’ purchase. The Platinum Card carries a $550 annual fee, starting in the first year of card membership. There is no foreign transaction fee. If you don’t have the Pay Over Time feature, the late fee is the greater of $38 or 2.99% of the total late balance, starting after 2 consecutive billing periods of nonpayment. The returned payment fee is $38. This card requires stellar credit. Additionally, you must demonstrate that you have the resources to make on-time, in-full payments on a card without a preset spending limit. Great Value-Added Travel Benefits. The Platinum Card’s airline benefits are incredibly generous. The $200 annual airline fee credit and $200 Uber credit nearly negate the card’s $550 annual fee on their own. The airport lounge benefit has almost incalculable value. The $100 Global Entry or TSA Precheck credit is a nice plus. And the complimentary Boingo WiFi hotspot access, while not extremely valuable, is downright convenient. Excellent Rewards Rate on Travel Purchases: You earn an unlimited 5 points per $1 spent on hotels and airfare booked through American Express Travel, and an unlimited 5 points per $1 spent on airfare booked directly with the airline. That’s a 5% return on major travel spending – a nearly unheard of rate for a general-purpose travel card. No Preset Spending Limits. As a charge card, The Platinum Card doesn’t have a preset spending limit (though Amex reserves the right to impose one later if you fail to make timely payments). That’s a distinct advantage over most other travel rewards cards, such as Capital One Venture Rewards and Chase Sapphire Preferred, whose credit limits can start at $3,000 to $4,000 and rise only slowly. Automatic Hilton Honors & Marriott Bonvoy Status. The Platinum Card comes with automatic, complimentary upgrade to Hilton Honors Gold and Marriott Bonvoy Gold Elite status. Both programs, which cover thousands of hotel and resort properties in the U.S. and abroad, offer valuable perks such as complimentary room upgrades, accelerated loyalty point earnings, flexible checkout, and more. Other popular high-end rewards cards, such as Diners Club Elite, don’t come with automatic status upgrades. Solid Welcome Offer. This card’s welcome offer is worth up to $600 when redeemed for merchandise at Amex’s Membership Rewards® portal. That’s head and shoulders above most other general-purpose credit cards, even those known for generous welcome offers. No Foreign Transaction Fees. The Platinum Card doesn’t charge foreign transaction fees. This is great for Platinum card holders traveling overseas, particularly those who wish to take advantage of the companion airfare benefit on long international flights. By contrast, the Expedia+ Card comes with a 3% foreign transaction fee, a major drawback for international travelers. High Annual Fee. The Platinum Card has a $550 annual fee, which is several times greater than the fees charged by lower-tier rewards cards such as the Chase Sapphire Preferred Card and Barclaycard Arrival Plus World Elite Mastercard. If you don’t plan to take full advantage of the Platinum Card’s rewards, look for a cheaper alternative. Baseline Earning Rate Isn’t Very Generous. Aside from hotel and airfare purchases made directly with the airline or through American Express Travel, Platinum Card purchases earn just 1 point per $1 spent. If you’re looking for a travel card that rewards you for a wider range of spending, check out the Capital One Venture Rewards Credit Card or Barclaycard Arrival Plus, both of which earn unlimited 2 points per $1 spent on all purchases. Usually Need to Pay Your Balance in Full Each Month. Unless you’re approved for Pay Over Time, which requires you to be a cardholder in good standing for a long time and demonstrate a consistent ability to repay your balances in full, you need to pay your entire balance each month. If you’re not careful with your spending, it’s easy to dig yourself into a hole and rack up balances you’re not able to repay right away, threatening your account’s standing. Barclaycard Arrival Plus and Citi Prestige both let you carry balances from month to month, so look to them if you don’t want to pay in full every 30 to 31 days. Difficult to Qualify for Membership. It almost goes without saying that the Platinum Card from American Express is an exclusive piece of plastic. The simple truth is that this card requires near-flawless credit, a hurdle that the vast majority of credit card and charge card users can’t clear. If you’re looking for a perks-laden rewards card, but have even a minor blemish or two on your credit report, set your sights a bit lower: Chase Sapphire Preferred and Chase United MileagePlus Explorer both require excellent, but not stellar, credit. American Express makes no bones about The Platinum Card’s exclusivity. To be blunt, The Platinum Card® from American Express is a status symbol for a well-heeled, jet-setting minority – and for those fortunate enough to have ample corporate spending accounts. If you live frugally, Platinum isn’t an ideal first, second, or even third card to carry. In fact, it may never have a place in your wallet. On the other hand, if you travel frequently and take full enough advantage of the card benefits to offset or come out ahead of the $550 annual fee, it’s hard to do better than The Platinum Card. Which side are you on? The Platinum Card® from American Express is an exclusive charge card for frequent travelers with ample budgets and a penchant for luxury benefits in flight, in the airport, and in hotels. With low rewards on everything except travel, it’s definitely not an everyday-type card for the vast majority of the card-holding public. For those who can afford to take full advantage of its benefits, however, it’s a great asset to have. This card’s super-valuable airline and hotel benefits, lack of preset spending limits, and lack of foreign transaction fees are all great. However, its high annual fee, mediocre Membership Rewards® baseline earning rate, pay-in-full requirement, and qualification requirements are drawbacks. Overall, this card is excellent for high-spending travelers who like to jet in style, but has limited appeal for everyone else.